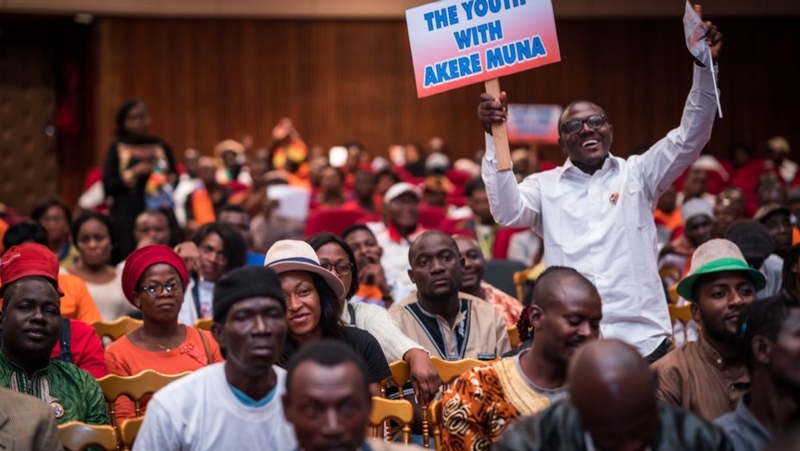 Over Akere Muna’s five-decade-long career, he has headed various missions of the African Union and worked as vice president of Transparency International, a civil society organisation against corruption. Muna’s father, the late Solomon Tandeng Muna, was a former vice president of Cameroon and before that, first prime minister of Western Cameroons. Akere Muna says he can usher in a brand new Cameroon – “La Nouvelle Republic”. Muna: That’s easy – solving the Anglophone crisis. First, making conditions ideal for the refugees to return [and] getting to rebuilding and reorientation so the displaced can go back home. Then, adding a system that brings back all these fighters by giving them a period to hand in the guns, and integrating them into the army for training. It might be necessary to negotiate with a third country for a force to come into those areas for a short while – a force from an Anglophone country or even Asia. They come there, maintain peace and get the locals involved in the process. I will scrap the Senate, reformulate and infuse it maybe with an economic and social council that brings the expertise – the architects, and lawyers and engineers. I will scrap the Senate, reformulate and infuse it, maybe, with an economic and social council that brings the expertise – the architects, and lawyers and engineers. So, when a law comes to Parliament and you send it to them for their opinion, the drivers of that law in that council will be those who have the expertise to deal with it. Al Jazeera: You’ve worked at Transparency International. How are you going to tackle corruption in Cameroon? Muna: Corruption is systemic and distorts governance. Example: South Korea was instructed to install e-procurement systems with the ministry of public tenders, so we have e-procurement systems installed ready to go. For about two to three years now, we haven’t had a single electronic tender. Why? Because people have to steal. In Nigeria, there was a case of a government minister trying to bribe parliament to pass his budget. Eight years ago, I was talking to an ambassador from a country that sends people to come and vaccinate. They supplemented their number with local nurses and the campaign was for a month, with weekly pay. They discovered that Cameroonian nurses were superbly fast and started tracking. So, they discovered some were breaking and throwing the vaccines away to get more money. They didn’t think about the fact that for every one you throw away, one child is not vaccinated. You have to build structures to fight this corruption. You don’t build a structure fighting corruption and turn it to a political tool against your enemies. Zero tolerance is the way to go. If you are in court: my brother, cousin, friend whatever, you will go down. Muna: That is a loaded question. I don’t think that as a believer in separation of powers, it should be up to me to decide whether somebody is prosecuted or not. On the basis of principle, if there were assets identified to be stolen, there are laws for fraud, corruption, everything … but what do we gain from putting an 85-year-old behind bars? It is just spectacle. The future is what is important. [Dawda] Jawara of Gambia tried to do a Senegambia, which later on which didn’t work, of course. [Muammar] Gadaffi up north with the Arab Islamic Republic, too. As it stands, 40 percent of the GDP is because of the oil. All the oil facilities are in the Anglophone parts – it cannot be said that that part of the country benefited from the oil and that is something that was grossly mismanaged. As we speak, the governors of the North-West and South-West are Francophones, which, in this atmosphere, is crazy. You arrest Anglophones and try them in the military court in Yaounde where they are sentenced in French. It doesn’t make sense. Those who use oppression are under the misconception that might is right. [SDF’s] Joshua Osi’s argument is that he has a mandate to run and not for a coalition. Al Jazeera: Concerning the vote itself, there’s questions about the independence of the Directorate General of Elections, which is responsible for organising the election and supervising the electoral board. 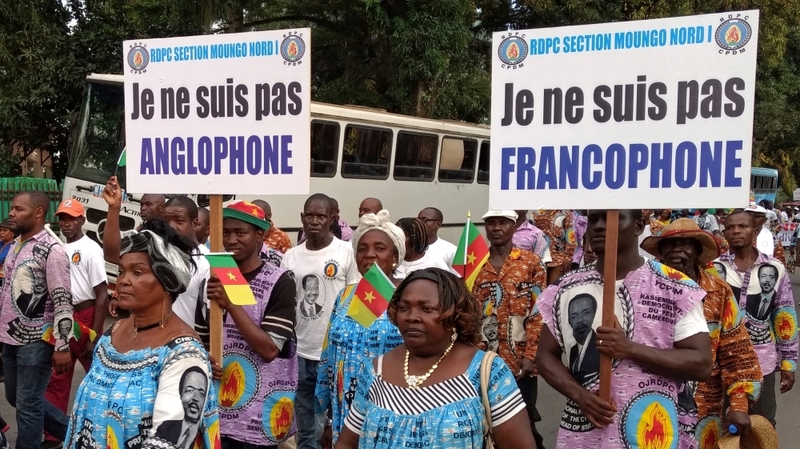 People assume that those in [the Directorate General of Elections] or other government civil servants are not Cameroonians and that they are absolutely part of government. In the ’92 elections, most of the military camps in Yaounde here voted against Biya.